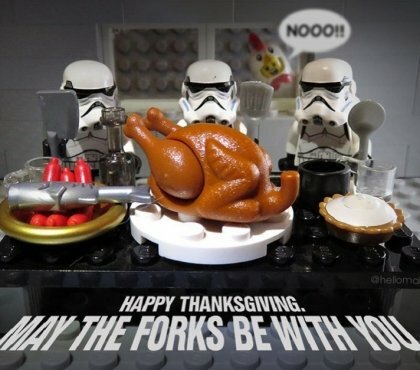 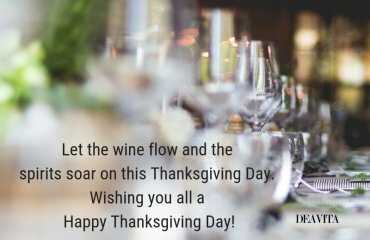 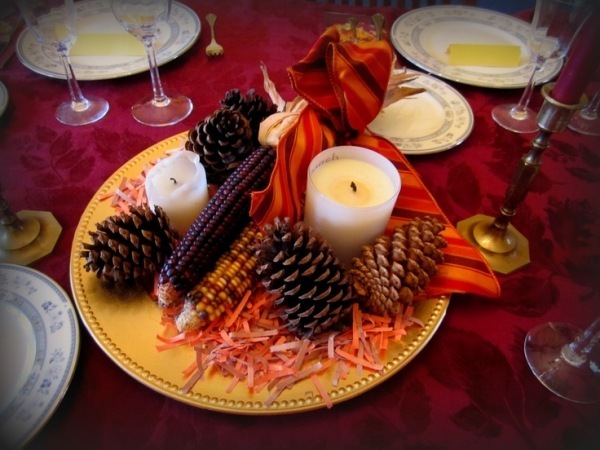 Thanksgiving is a special holiday – a time to focus on what really matters in our lives – family and friends. 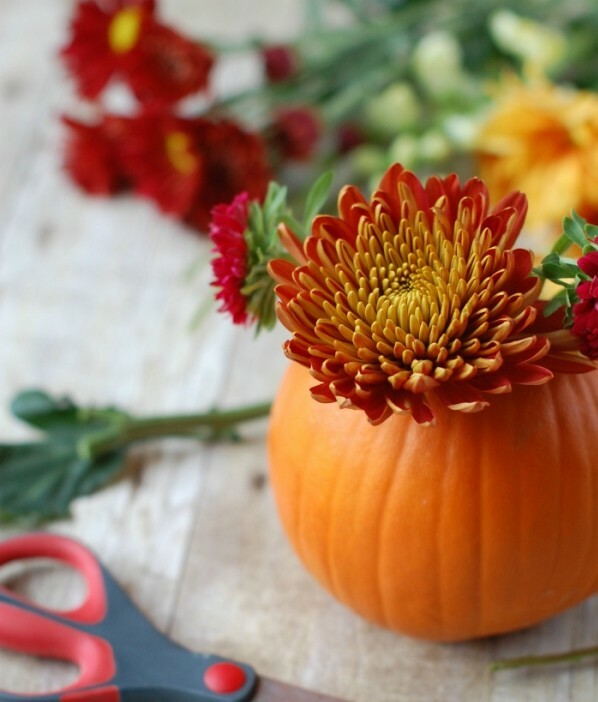 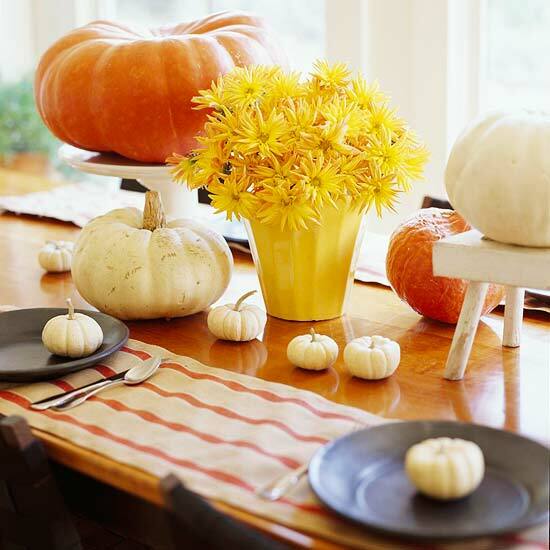 We have prepared some fantastic and really easy to make Thanksgiving table decoration ideas so you will have more time to spend with your closest people. 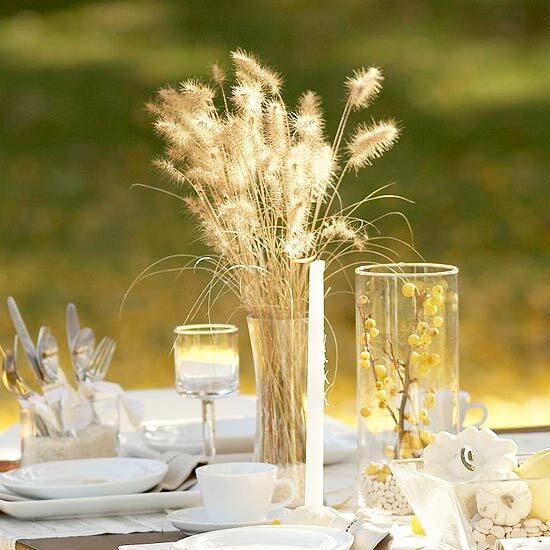 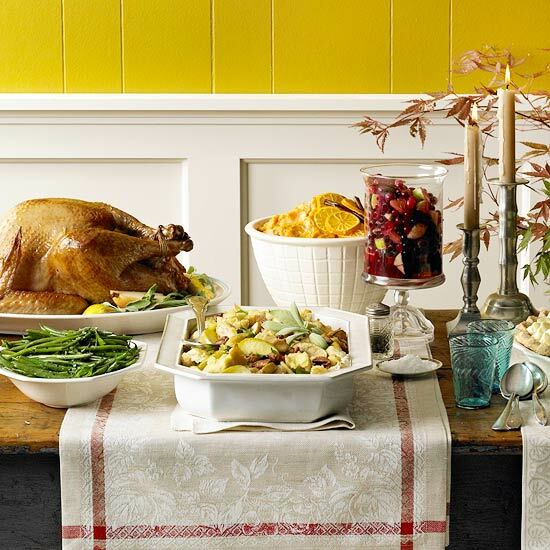 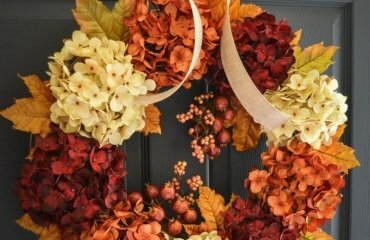 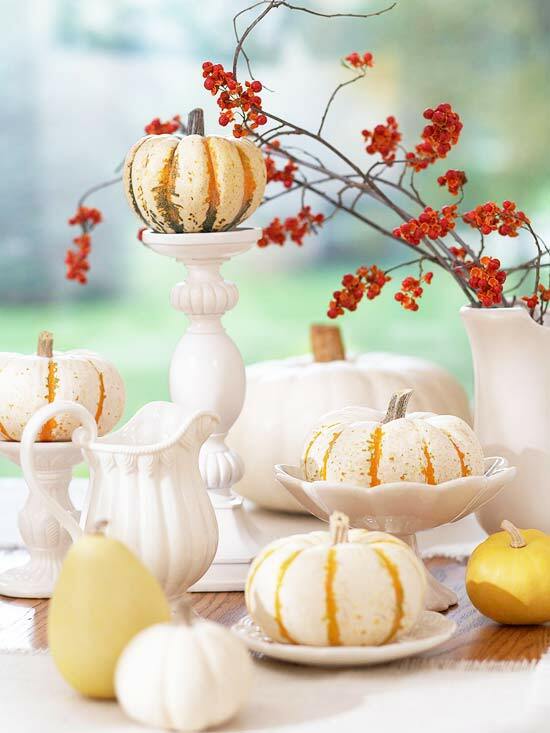 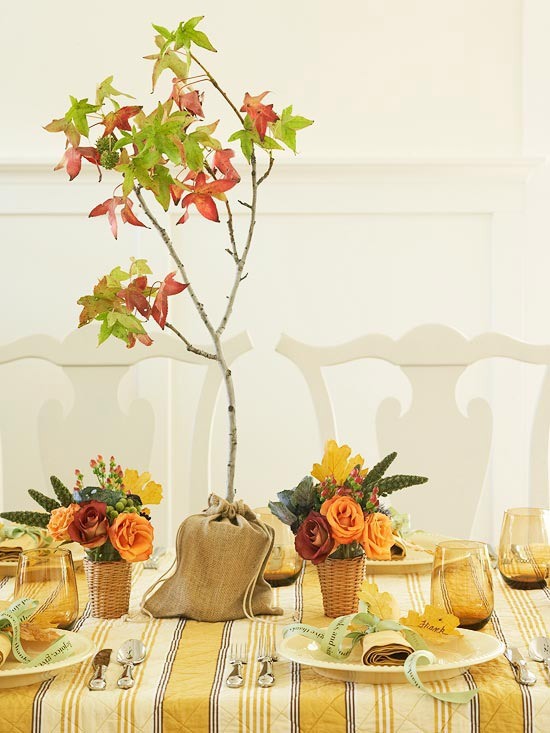 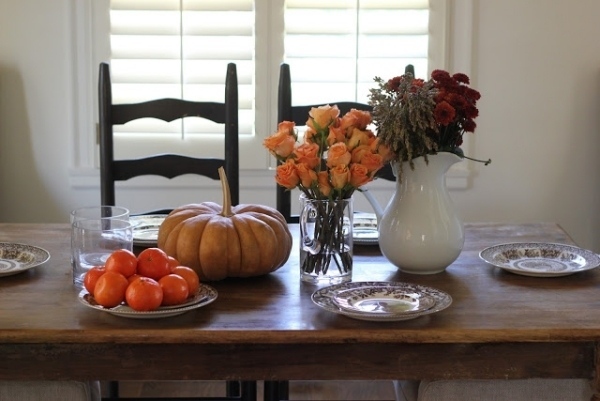 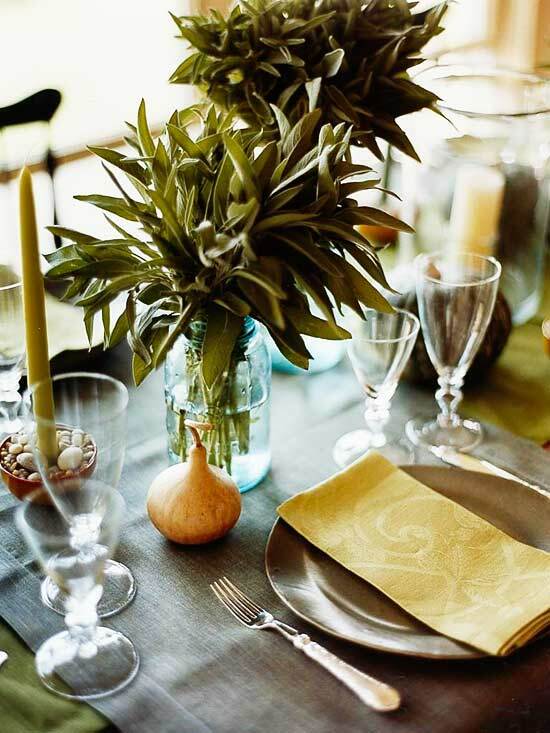 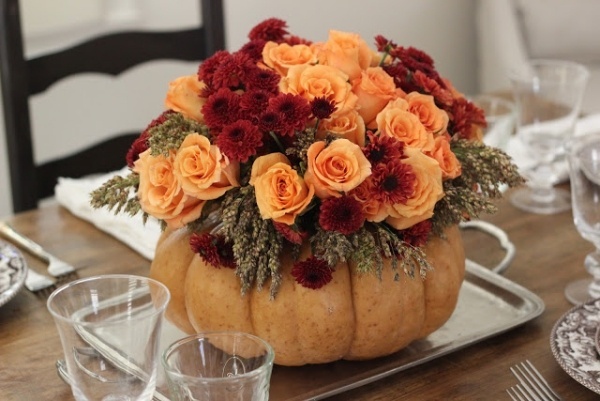 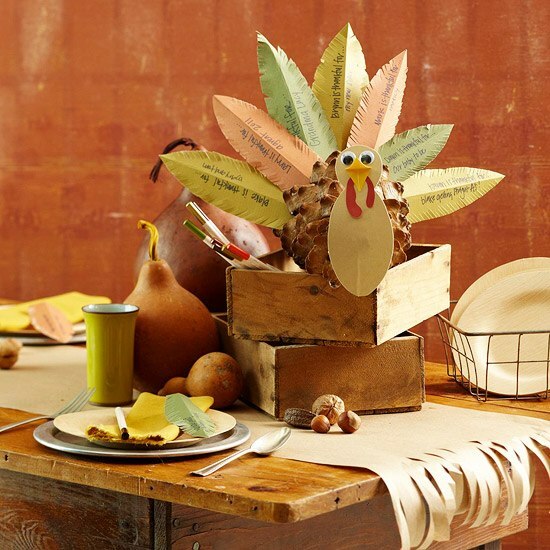 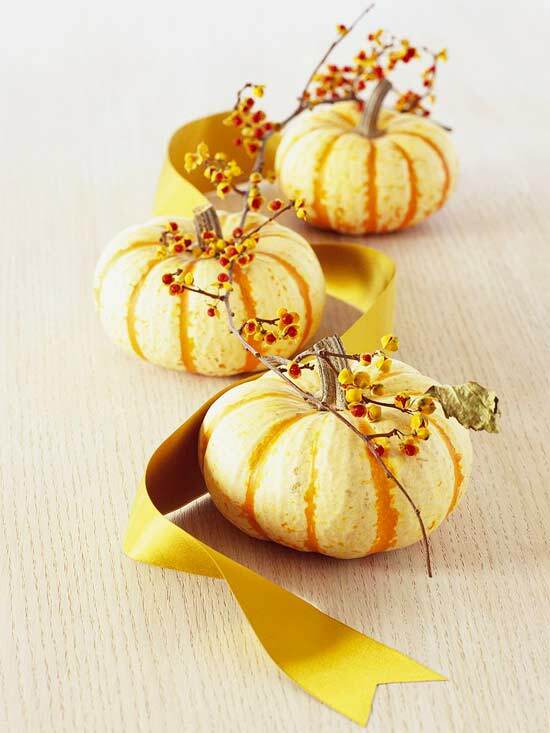 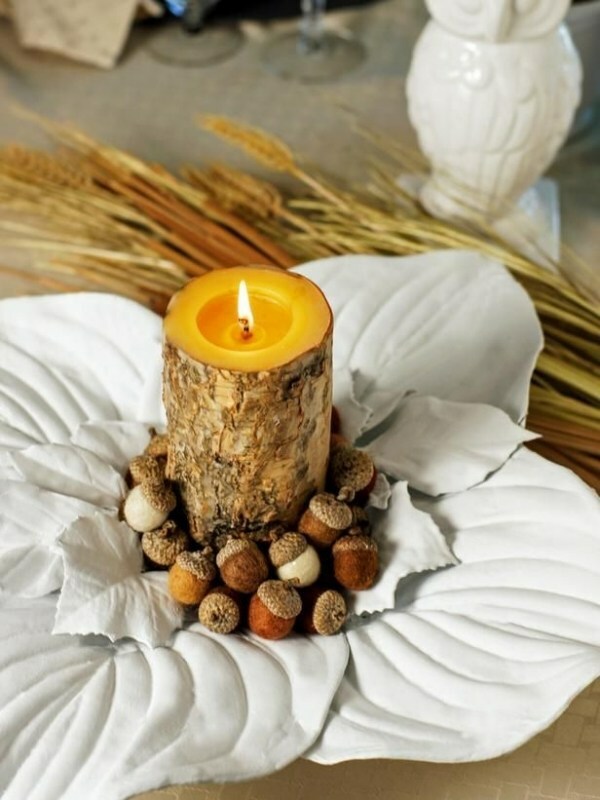 Whether your taste is traditional or modern, formal or casual, these easy Thanksgiving table decoration ideas will help you with some suggestions. 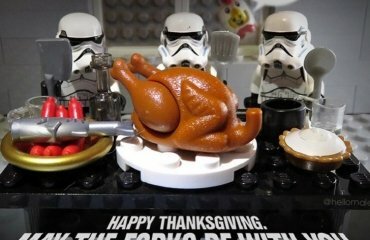 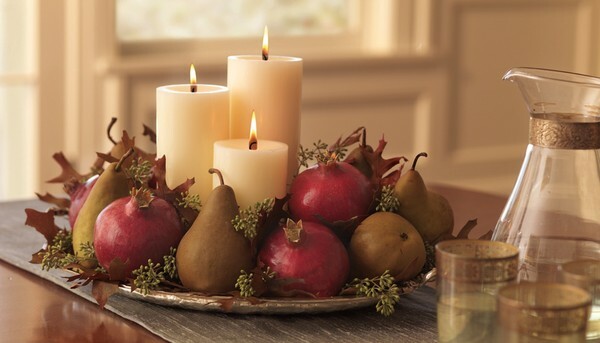 The centerpiece is the highlight of every holiday table. 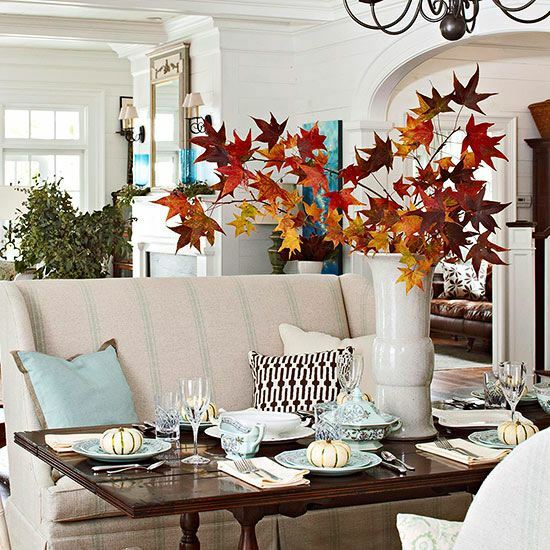 If your table is big enough the easiest way is to have a horizontal decoration. 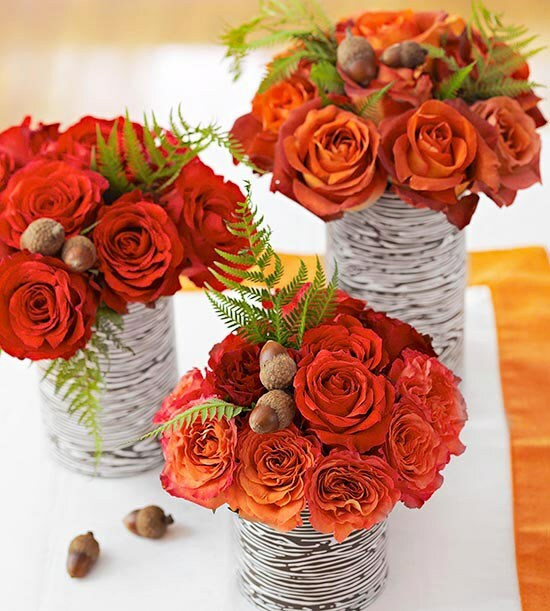 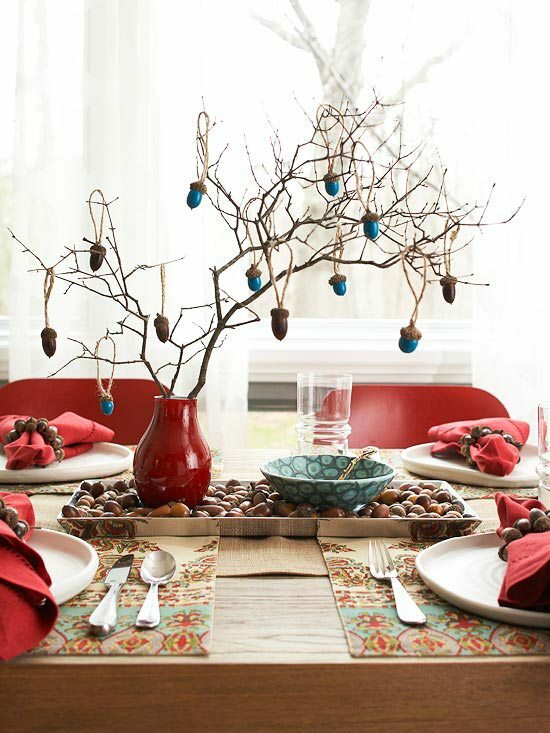 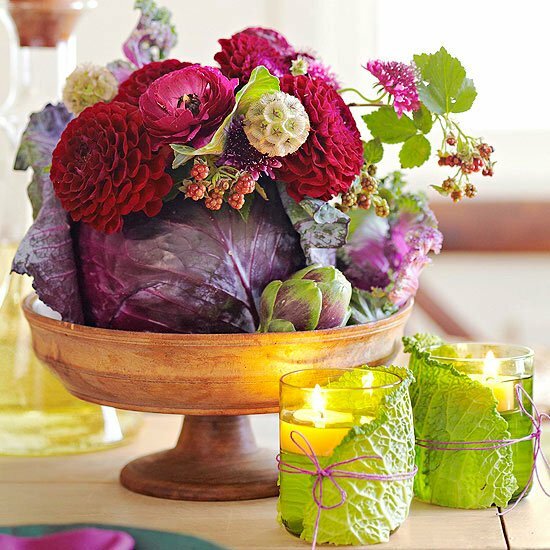 Otherwise you may create a stylish and classy centerpiece but vertically. 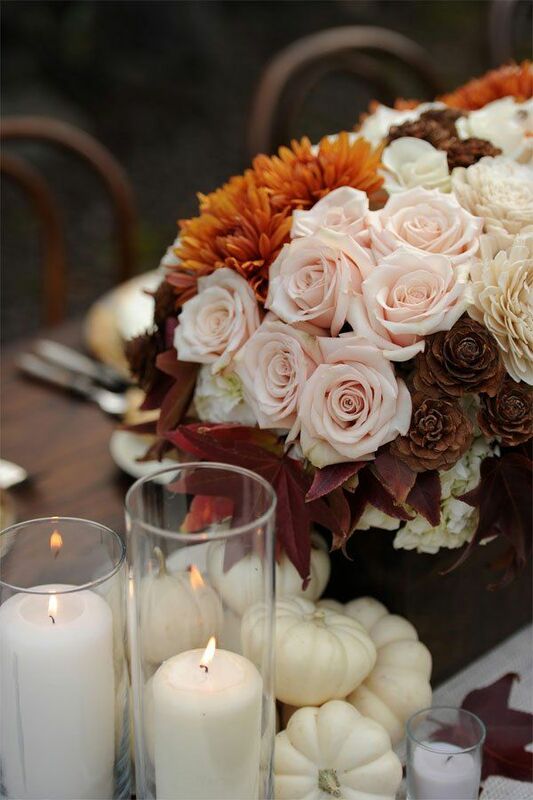 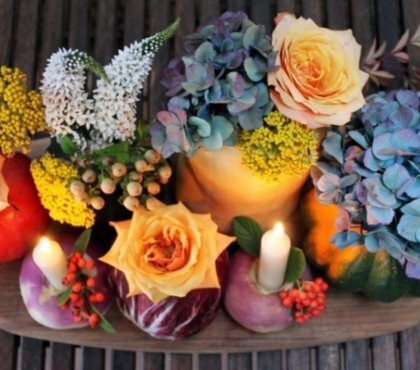 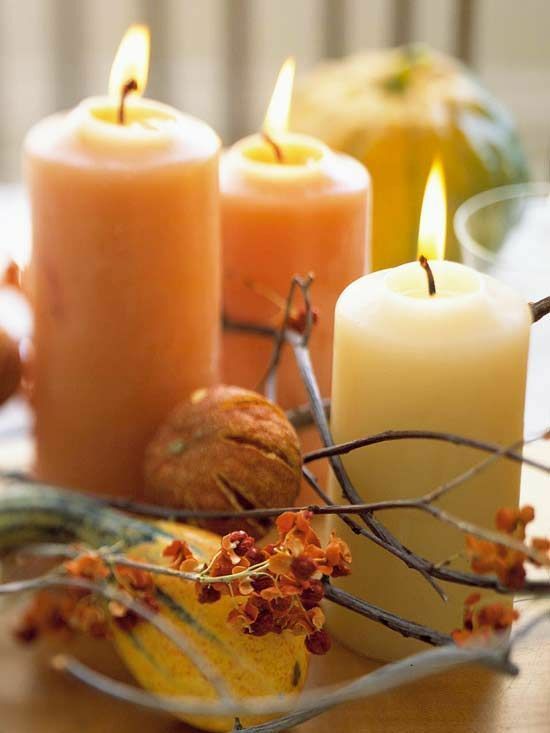 Another spectacular idea is to mix high and low decoration elements – pillar candles, gourds and flowers. 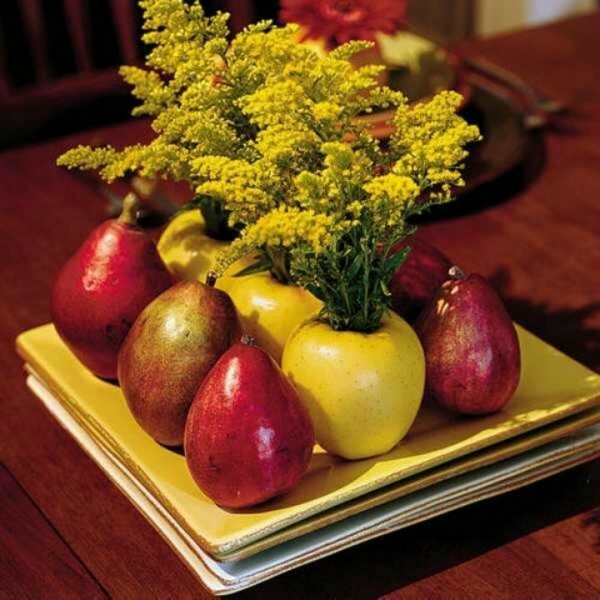 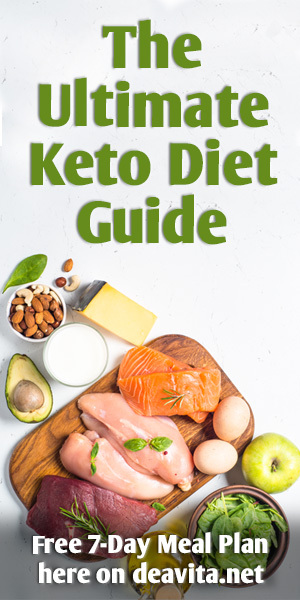 The season is so rich – there are so many fruits and vegetables available that arranging them into a centerpiece would not be a problem. 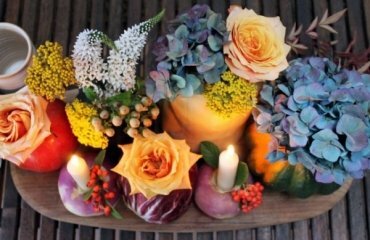 If you are the host for the holiday this year some of the Thanksgiving table decoration ideas will tip you how to create a decor of elegance and sophistication. 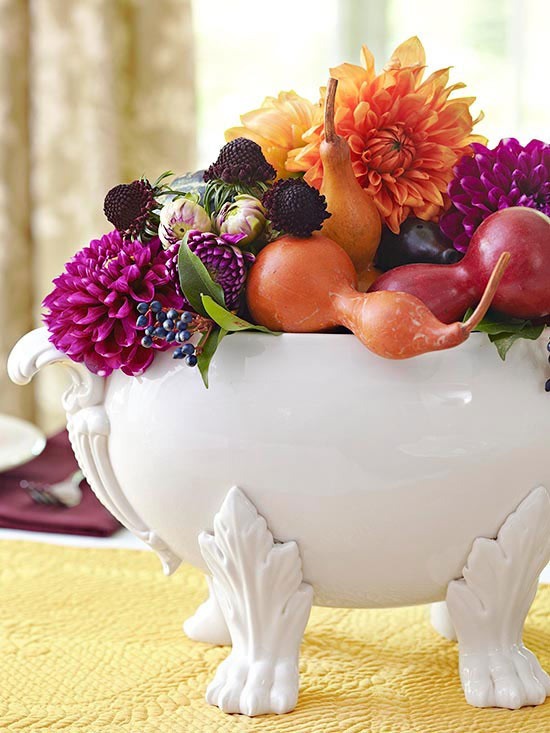 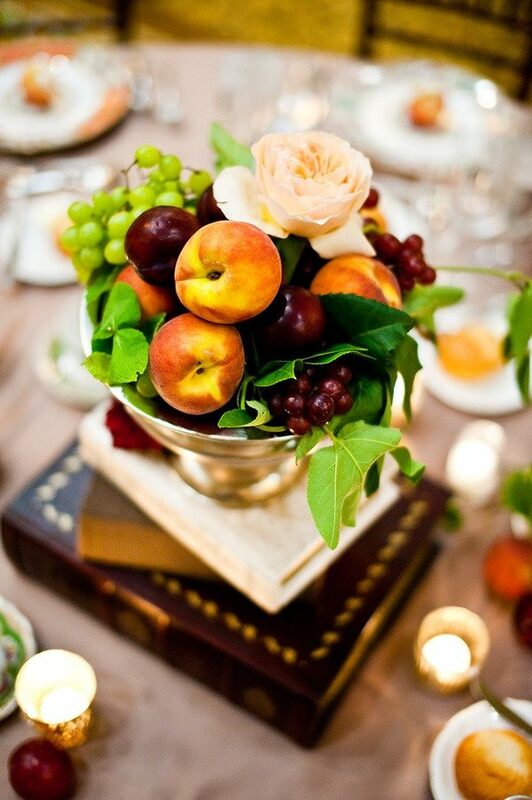 The focal point of the table is the centerpiece and the options for you are countless. 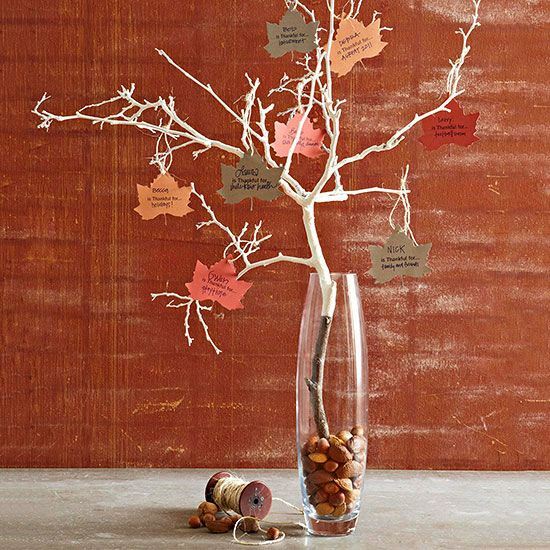 A dramatic vertical display can be balanced with more simple individual decorations. 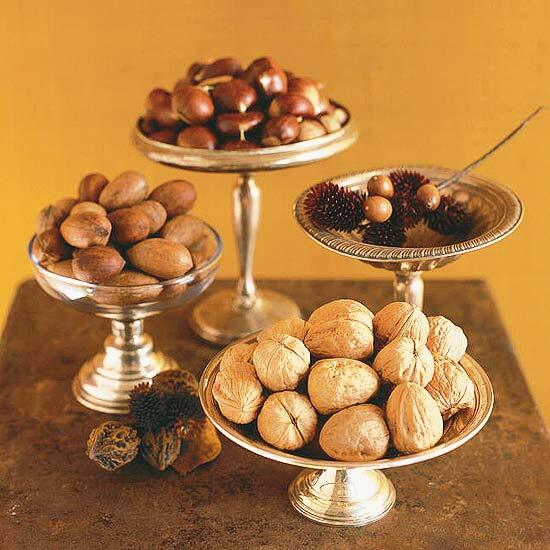 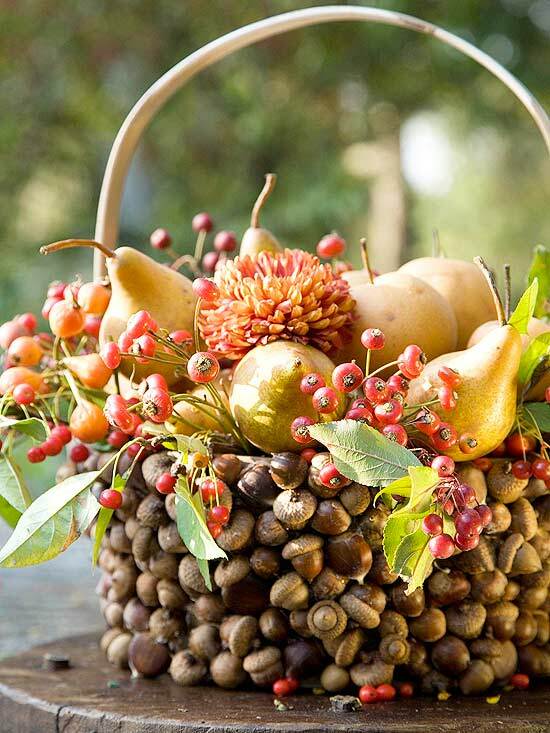 Fruits and nuts, vegetable and ribbons, a festive cornucopia, flower arrangements in combination with various nature elements – all these look incredibly elegant.